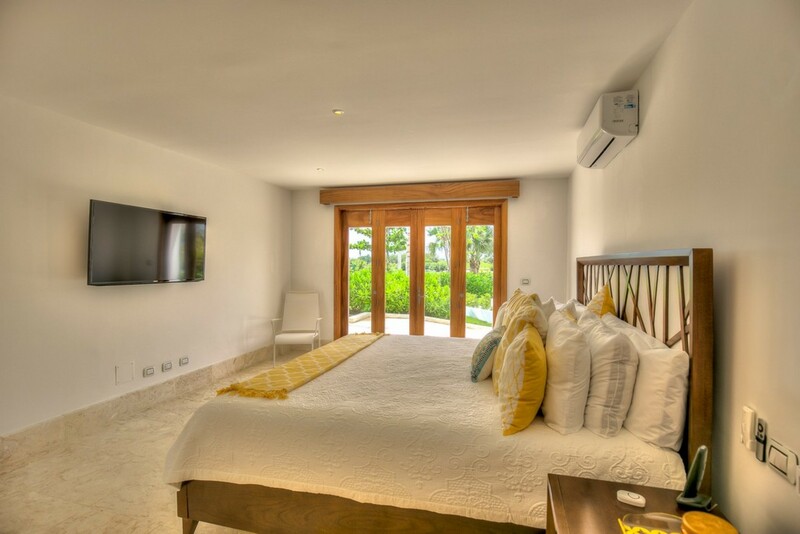 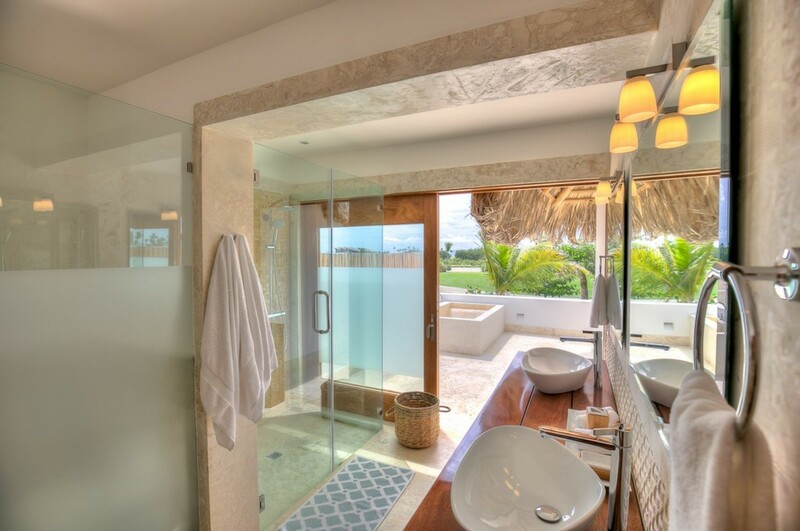 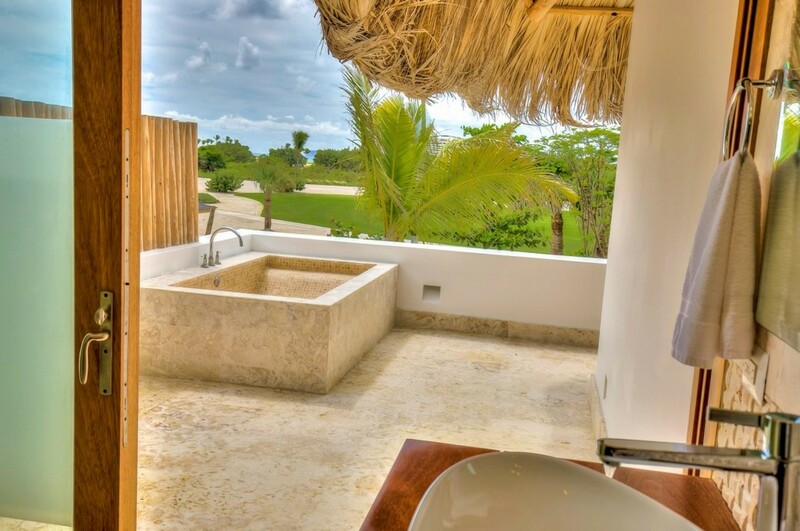 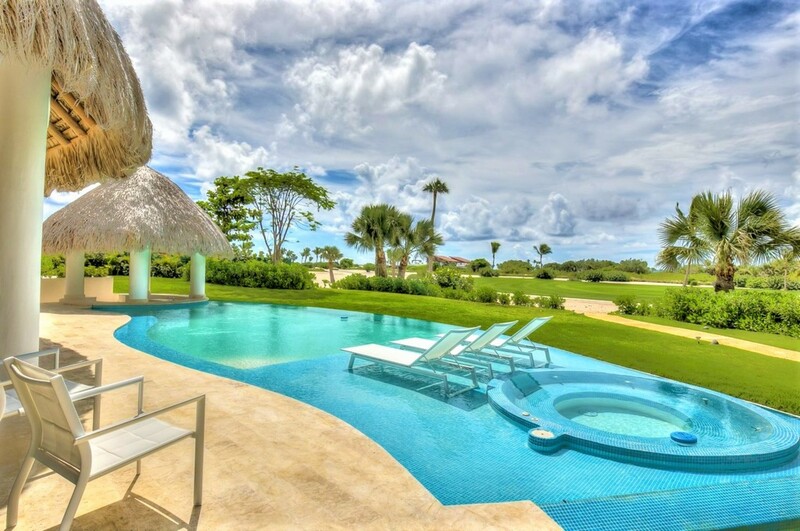 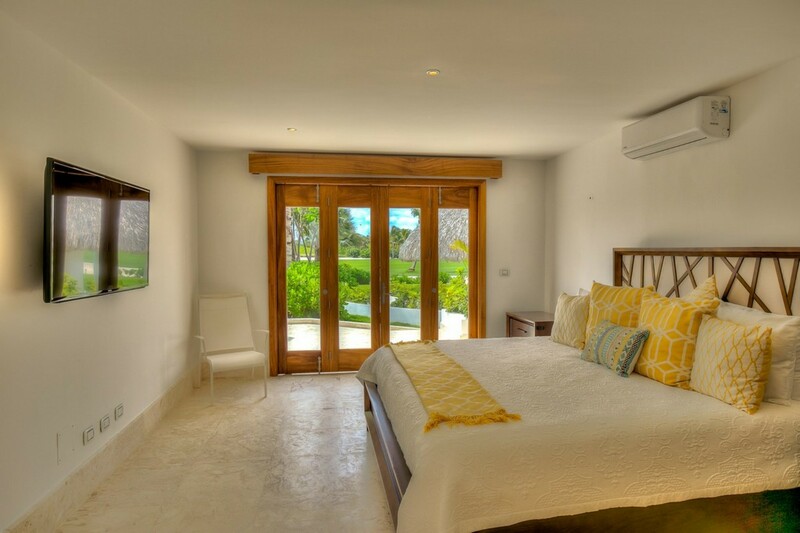 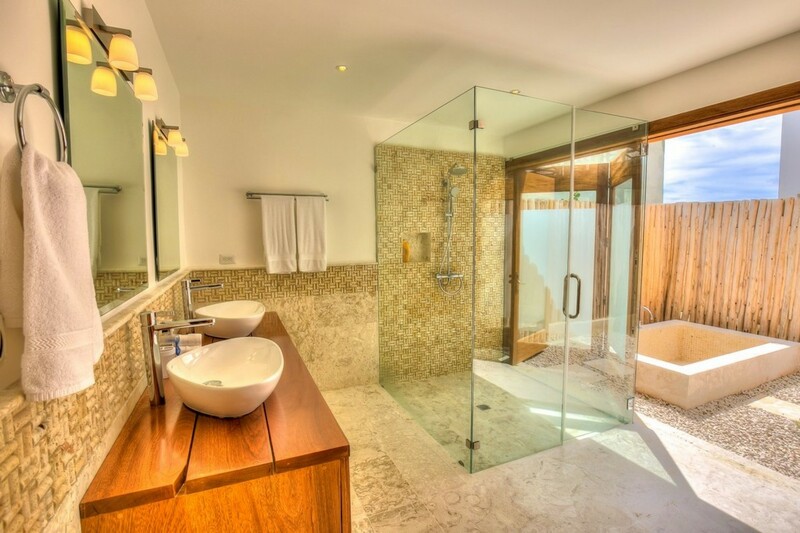 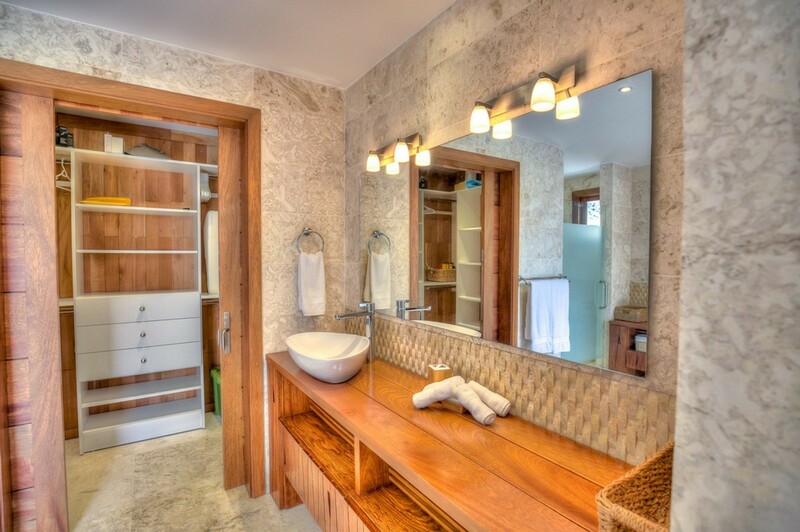 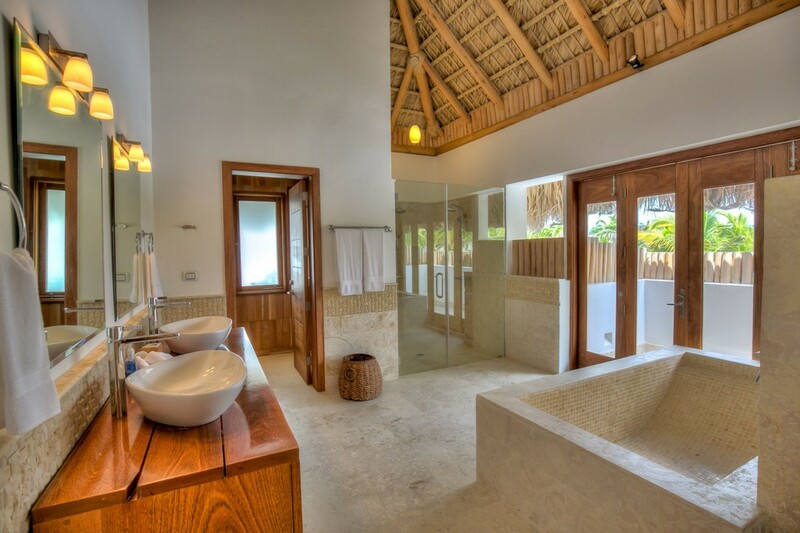 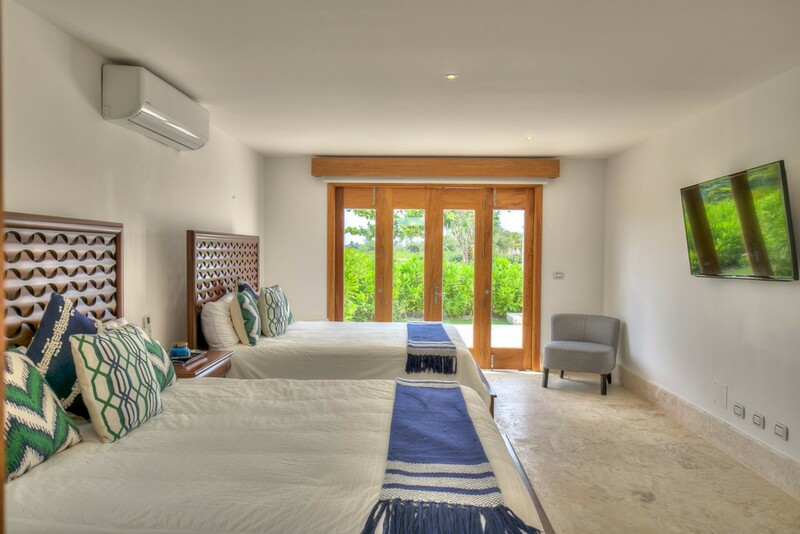 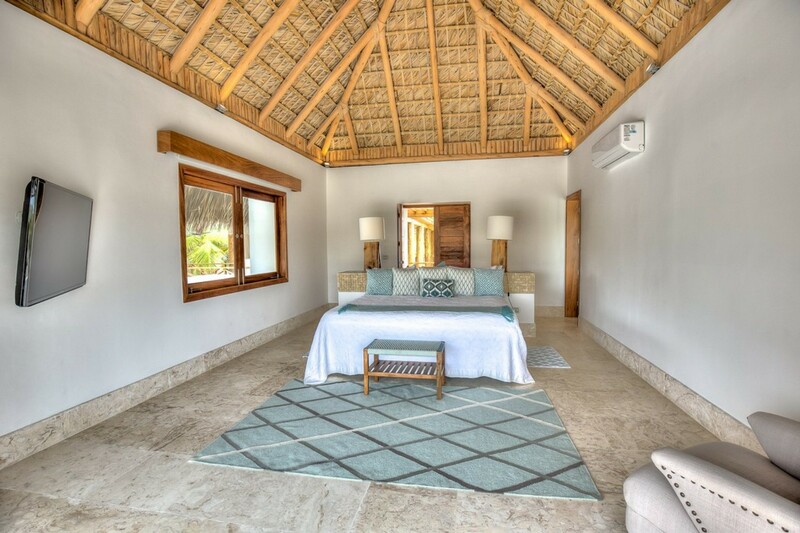 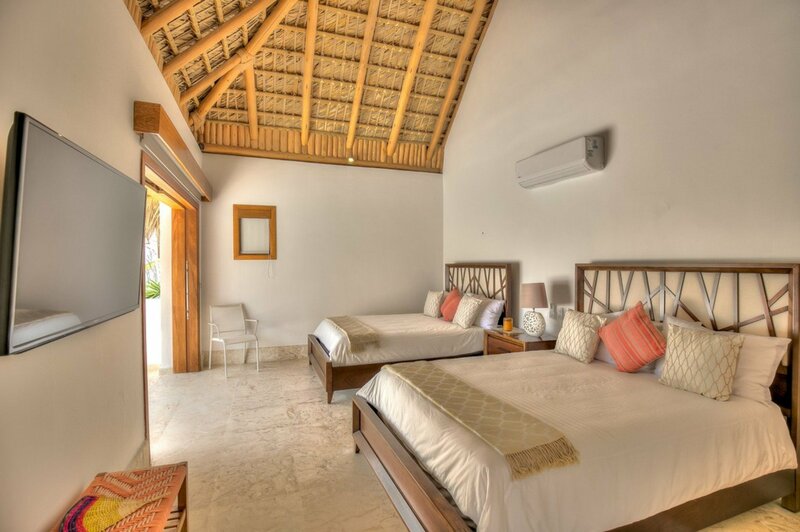 Welcome to Villa Cayuco 9, a beautiful 6 bedroom villa in the exclusive gated community of the Cap Cana resort. 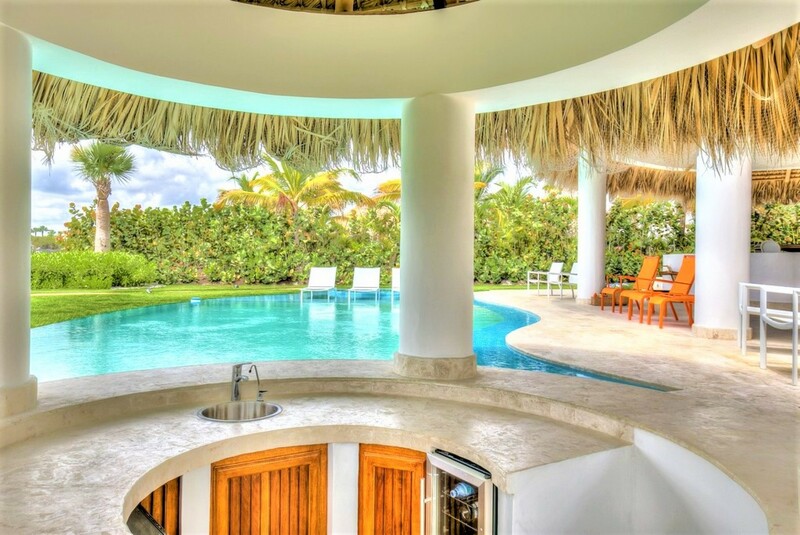 The resort that is located at the spectacular island paradise of the Dominican Republic, and is full of natural landscape, miles of mesmerizing white sandy beaches and a vivid turquoise blue ocean. 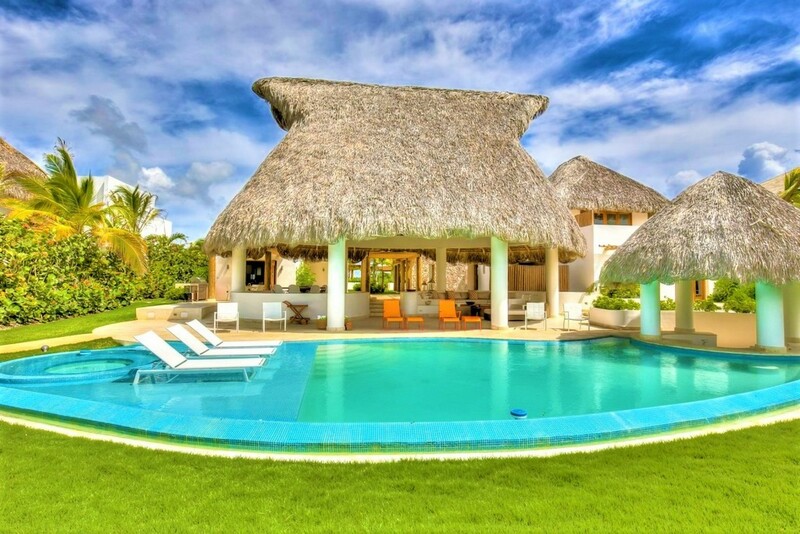 The villa is close to the Cap Cana Marina which is home to some of the most magnificent yachts and cruise liners from around the world. 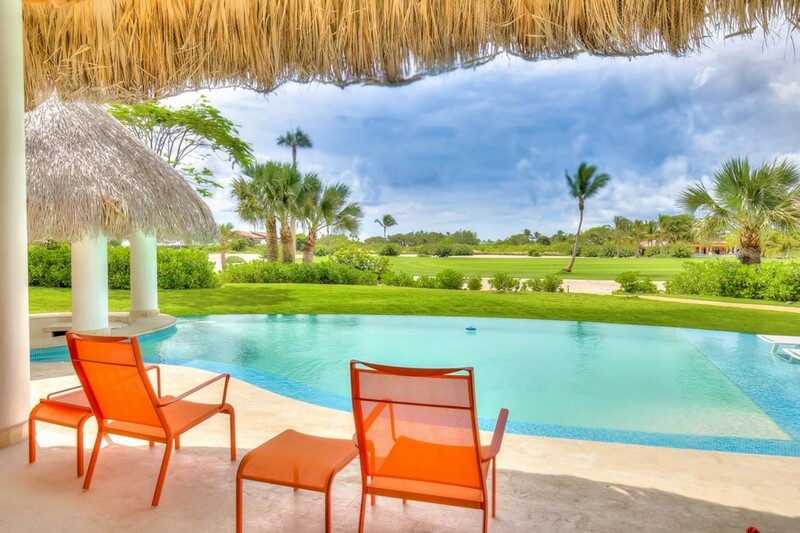 The Marina and its coastlines, are considered to be some of the best places for fishing it the world, hosting many fishing tournaments. 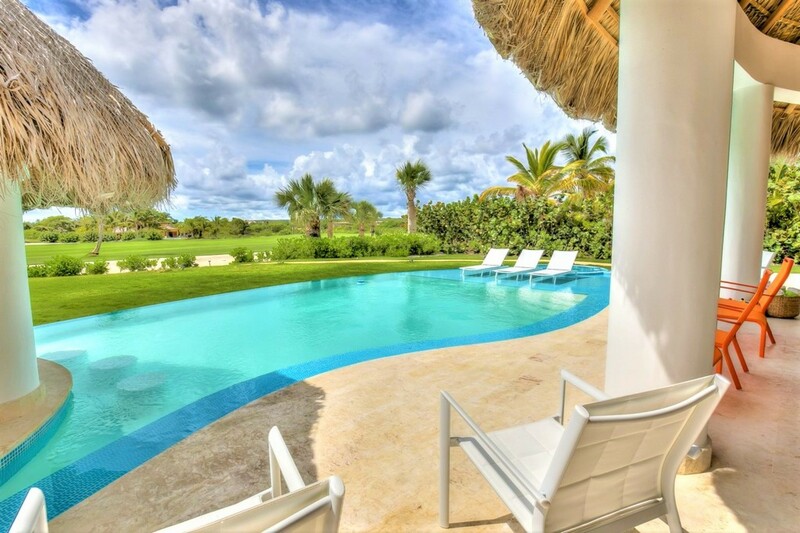 There are also world class PGA approved golf courses to play, with a clubhouse that has amazing views of the Caribbean sea. 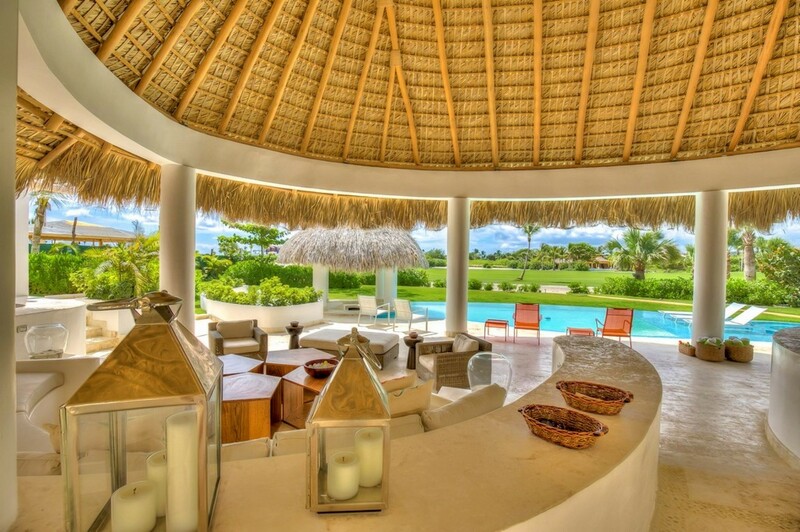 This incredible Caribbean inspired villa is truly glorious with amazing thatched cabanas and has gorgeous views of the golf course. 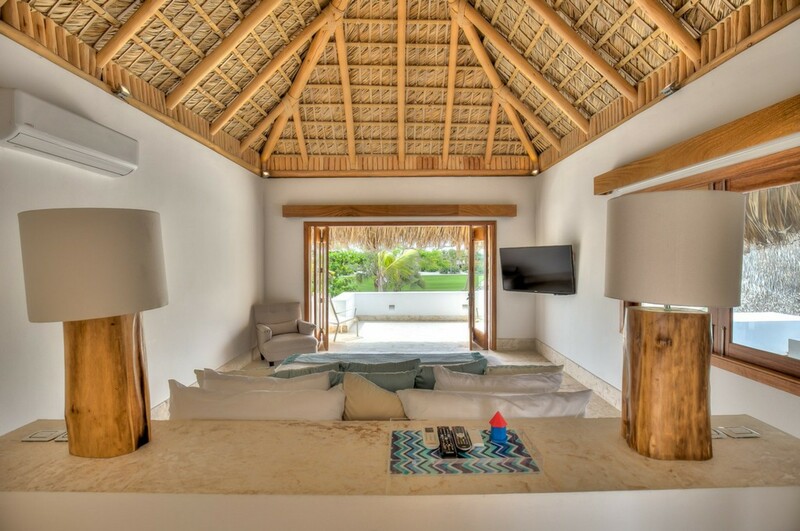 The thatched cabanas which include a stunning dining area that seats 10 people, a lounge area and thatched bar area at the pool where you can go to enjoy a refreshing drink served to you by your villa waiter if desired and also features a jacuzzi. 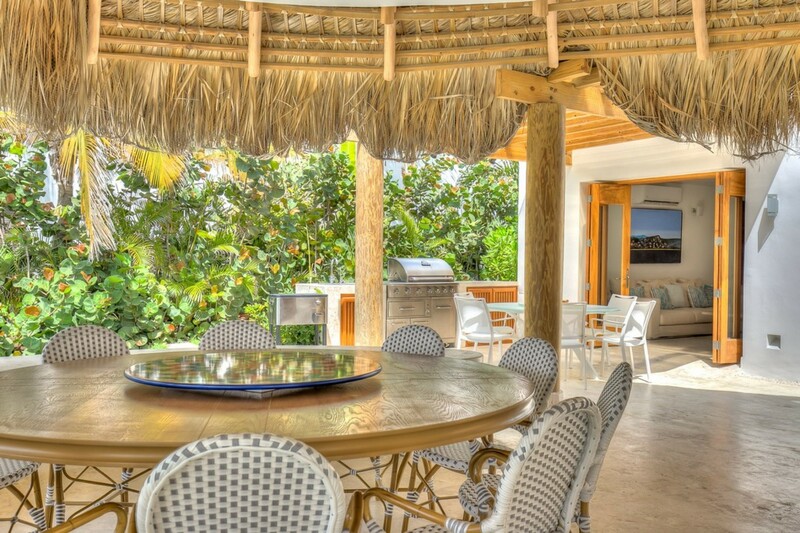 There is also a BBQ so you can enjoy dining Al-fresco with your family and friends. 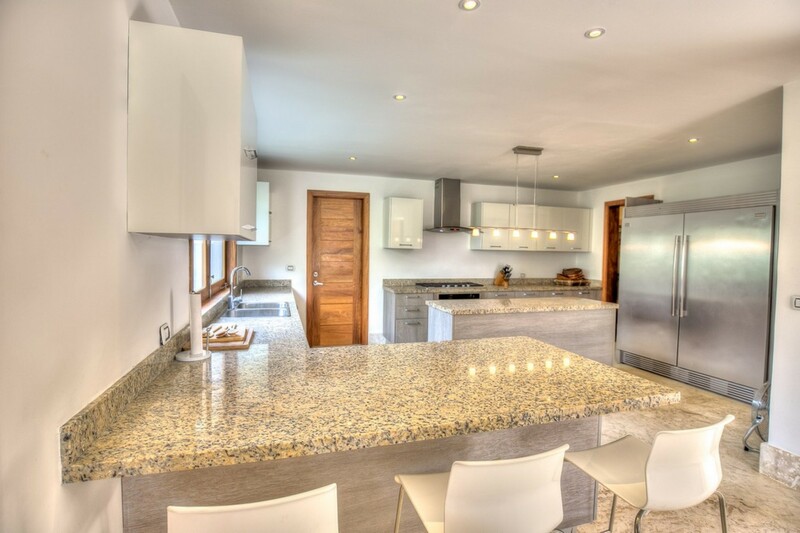 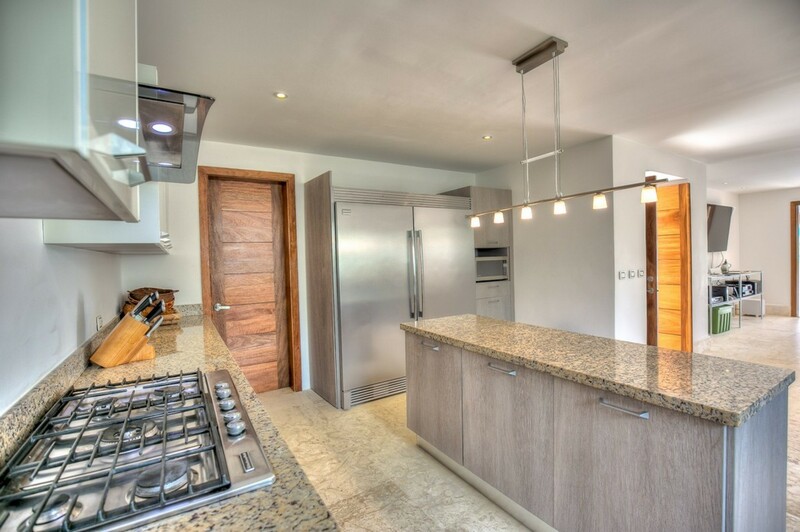 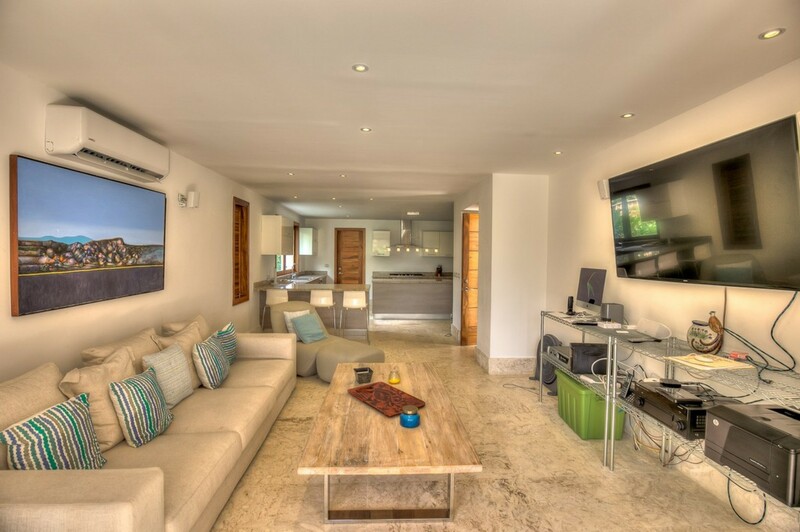 The fully equipped kitchen has a beautiful island in the middle and it´s open to a large living room. 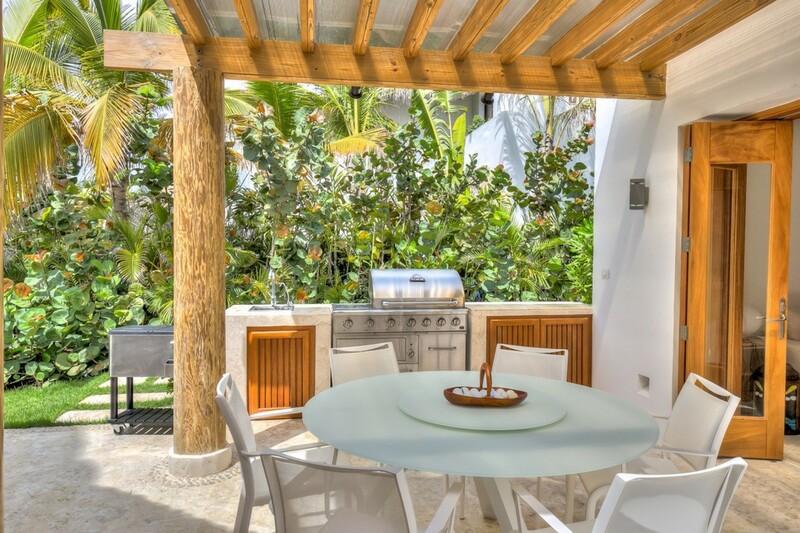 When you go outside you will get marvelled with the well-fitted gallery next to a BBQ. 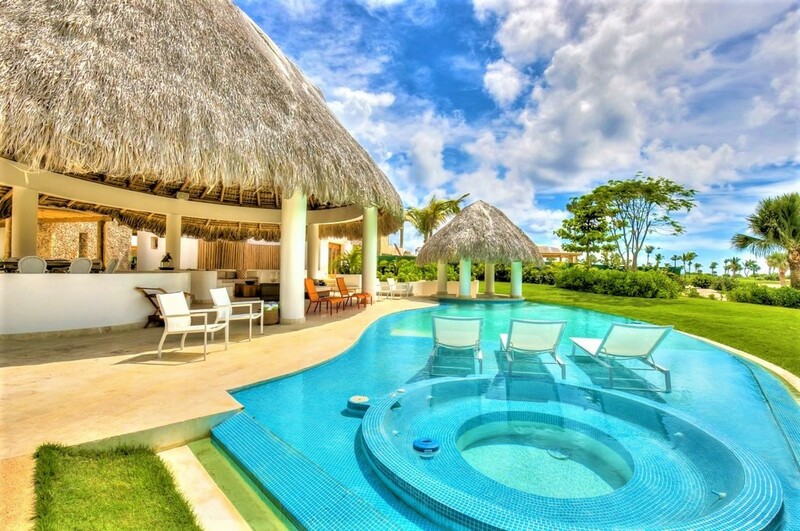 When it comes to cool off you have the amazing swimming pool. 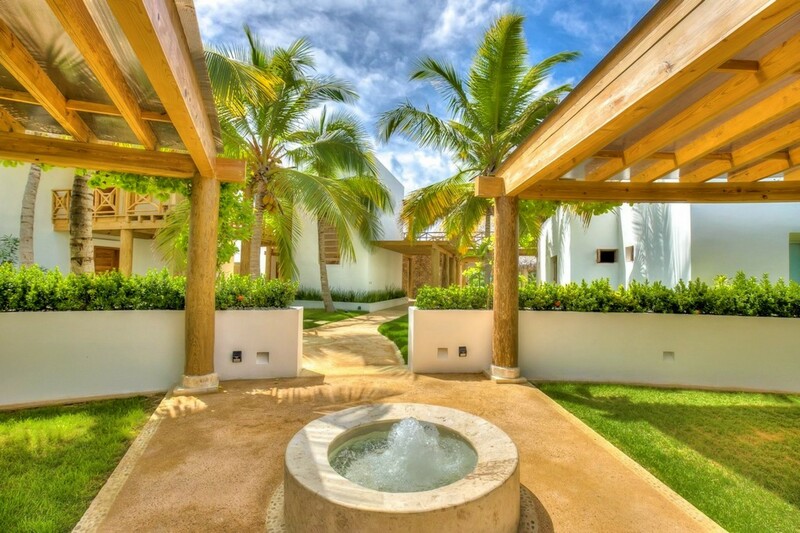 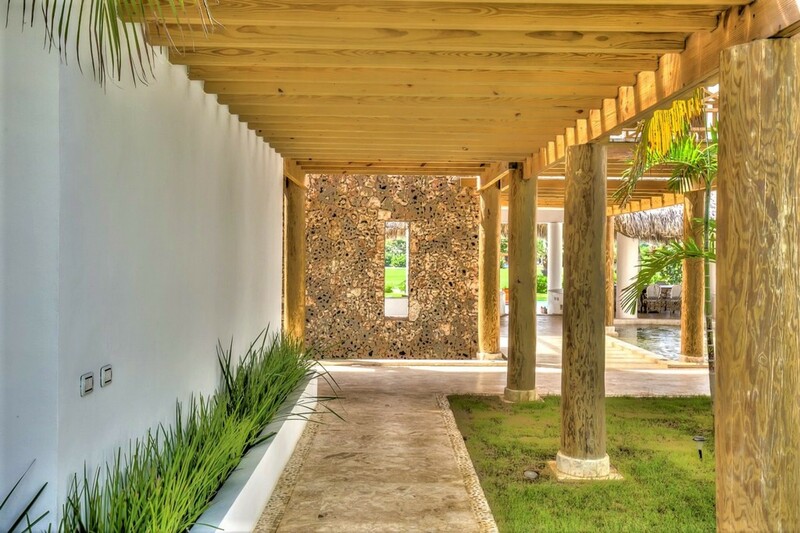 Cayuco 9 was of my favourite villas to visit while in Cap Cana. 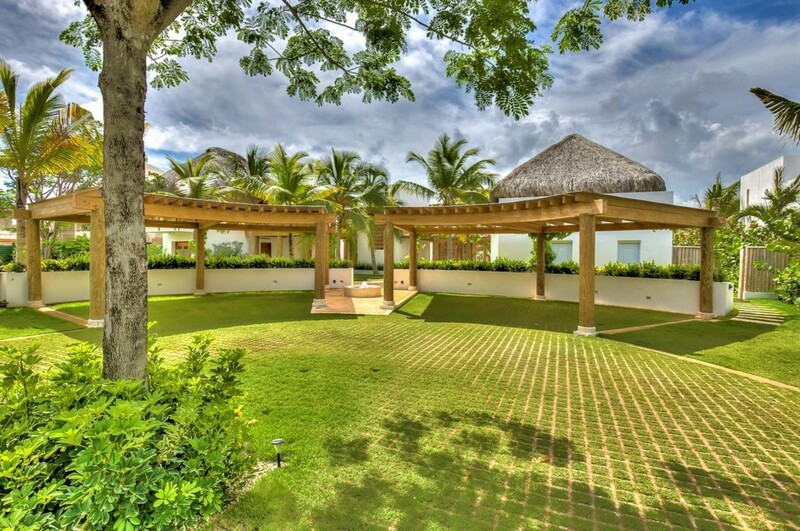 The amazing outdoor area of this villa was comfortable and relaxing and it would be the perfect villa for friends celebrating a special occasion or couples who want to relax in the villa in a beautiful setting and sample delicious Caribbean cuisine by a local chef should you want. 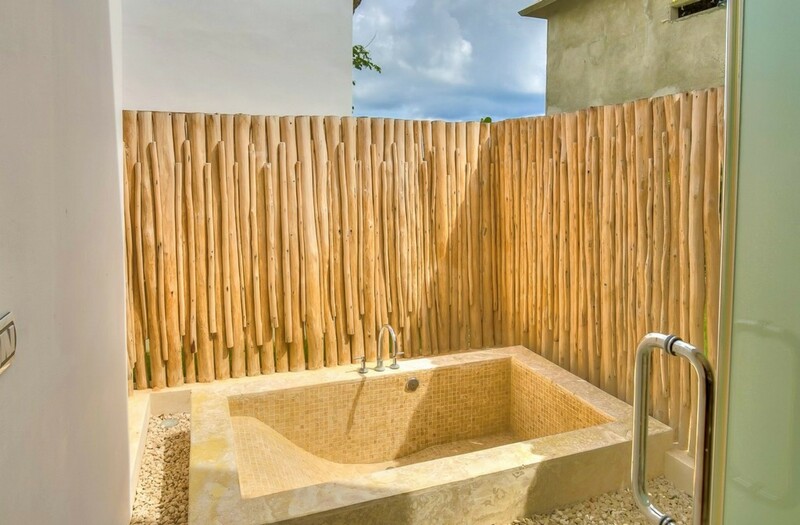 It had a real tropical Caribbean feel to it with huge bamboo structure and Cana roof in the outdoors. 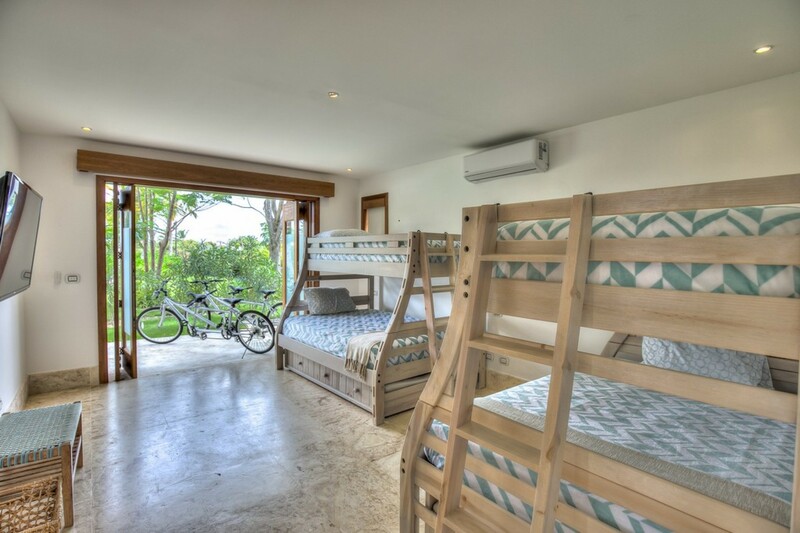 There were also bikes if you fancy a cycle about the beautiful local area. 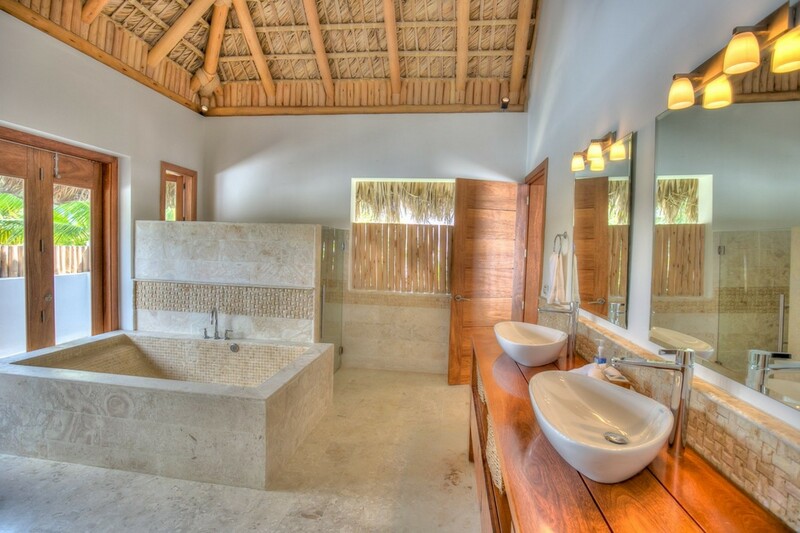 I can highly recommend this villa and it was one of me favorite villas to visit.